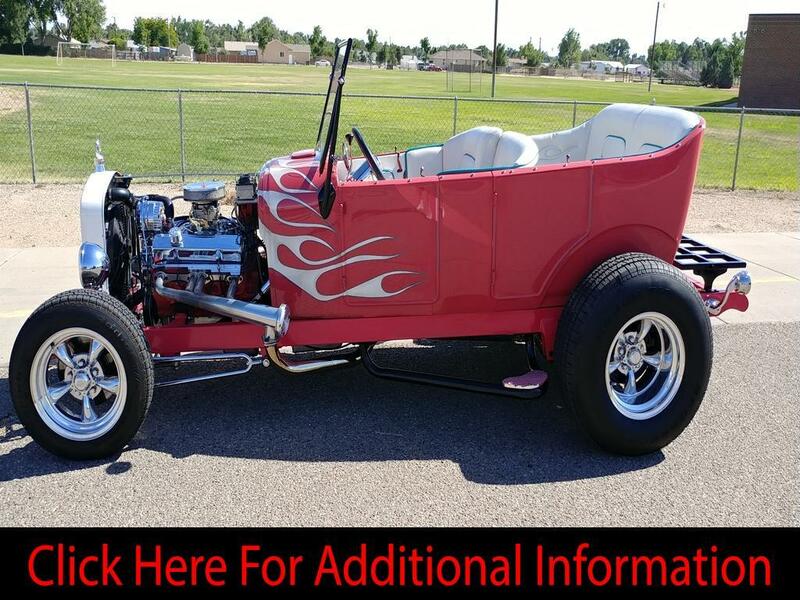 1927 Ford Model T Hot Rod Tubby-with only 1,133 miles on a 350 HP Chevy Crate Motor, Edelbrock Carburetor, 700R4 Auto Transmission, Ford 9” Rear End, Ford Mustang II Front End w/4-Power Disc Brakes, American Racing Wheels, BF Goodrich Radial TA Tires, Leather Interior, Custom Frame Built by Professional Racer Ed Rink-Pueblo, CO. Car was custom built from a 1927 Ford Sedan by the current owner with 35+ years of custom car experience. Professionally Painted in “Coral” Color and custom built in 2014. Chrome Front End & Custom Exhaust System give this Hot Rod Tubby a Unique Style and with 4 doors there’s plenty of room for the kids. A Fun Cruiser for the family to attend any around town event while showing up in Style. Please No Trade Offers, No Broker or Marketing Calls! SMS Text Messages will not be answered-too many scammers! Showings are by Appointment ONLY for Qualified Buyers! Please have your Financing set up BEFORE you ask for a Viewing of the car. Call 72066030sixtwo. Additional info at nextstepprosales.com-Marketing Company for Private Sellers-This is a Private Sale-No Sales Taxes are Collected.